The tribute for Vaclav Havel is almost ready. Check the homepage soon for updates. I will be sending information around soon. All Červená Barva Press future full-length books will now be distributed through Small Press Distribution. I am very excited about this. 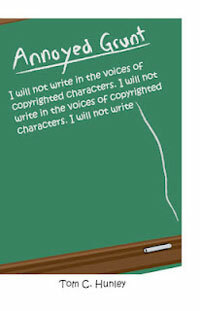 All previous published full-length books are ineligible for this. SPD will only distribute new publications. This will be really wonderful for the press. This means more recognition and our books will reach wider markets. 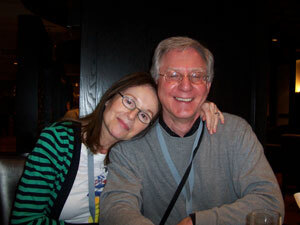 I just wanted to tell everyone what a great time I had at AWP. It was great hanging out with my dear friend Glenn Sheldon (New Sins Press), who made me laugh so much, and seeing all my friends, authors, and meeting all the new people that I met. 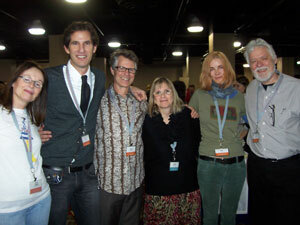 The AWP reading offsite that I took part in that Bill Yarrow organized, hosted by Waiting for the Bus, was a blast. 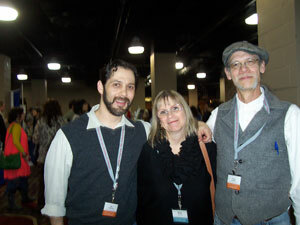 I read with Bill Yarrow, Tony Barnstone, and Kris Bigalk. They were amazing! The tribute for Rane Arroyo at Columbia College was just wonderful. Poets from Imaginary Friend Press (Founded by Rane Arroyo & Teneice Delgado) read from their new chapbooks. It was one of the best readings that I have ever been to. Such strong work. If I told you everything, I would have a book here so I will just share a few pictures. See you next year in Boston. Happy National Poetry Month! So many poetry events are happening around the country. This is a great time to support poetry. Buy poetry books. Go to poetry readings. Subscribe to literary magazines. Do your part. Have a fun month!!!! Hope to see many of you at the MA Poetry Festival in Salem this year. It looks like a great schedule of events happening from April 20-22. Here is the link: http://masspoetry2012.crowdvine.com/calendar/ I'll be involved reading in a few events this year. Hope to see you! 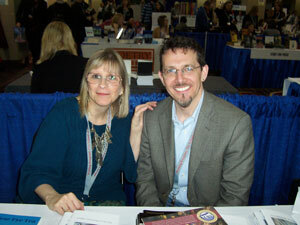 I did a booktable at the bookfair the last two years at the festival but won't be doing it this year. Sorry. 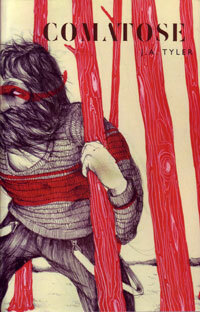 On Paths Known To No One by Flavia Cosma. Chapbooks being worked on in April and May are by: Eric Greinke/John Elsberg, Rachel Goldstein, Ansley Moon, Matthew Hamilton, and 2011 contest winners Alan Elyshevitz and Ateet Tuli. publisher: Filsinger & Company, Ltd. This book is beautifully illustrated. The poetry is great! Together, it makes for a wonderful children's book. I highly recommend this for your children, grandchildren, nieces or nephews or friends who have children. Buy this book. You won't be sorry. You'll end up buying another one. "Your new book is honest, adventurous." I always saw these poems as a holistic sequence and so avoided offering them to readers as piecemeal feasts. In thinking of anarchy, and its practitioners (and pretenders), as well as chaos theory, I am struck by how individual stories aren't included in the cultural formulas that claim to attempt to reconcile form and information. Each of the three sections in this collection, I hope, offers insights into humanizing ancient questions that are still modern. From shorter poems, almost like smuggled texts from moments and places of oppressions, to a longer persona poem, to the final section in which three poems realize the work must be theirs—whether it is what they want to do or not—should help us realize that words inform, mis-inform, deform and hopefully, sometimes, re-inform. That's all and everything. Obviously, that's also all and nothing. "Comatose will wreck you. It will make you remember you are dying, and that you have dared to wish it were otherwise, that you have longed for a world that will last. Reading it hurts like shitting pinecones, like digging hole after hole until you've buried everything: your stillborn young, your love, your words, the world. J. A. Tyler doesn't write myths of creation and destruction. He makes Language—shards that refract your consciousness, that draw blood and make you wonder if it's real. If you exist. At the end of the book, you won't know." J. A. Tyler is the author of INCONCEIVABLE WILSON (Scrambler Books) & A MAN OF GLASS & ALL THE WAYS WE HAVE FAILED (Fugue State Press). His fiction has appeared with numerous journals including Black Warrior Review, Fourteen Hills, New York Tyrant, La Petite Zine, Caketrain, & Smokelong Quarterly & has been nominated for The Pushcart Prize, The Million Writers Award, Best of the Web, & other honors. His reviews have been published with Rumpus, The Colorado Review, & The Collagist & he is a contributor to the blog lives of PANK, Monkeybicycle, & Big Other. As an editor, J. A. Tyler founded Mud Luscious Press & currently works on the staff of both Tarpaulin Sky & Dzanc Books. "Many poets could write other poets' poems, but there's no one anywhere who could write a Bill Yarrow poem except Bill Yarrow. With a bizarre grace that suggests a truly individual aesthetic, his poems navigate the razor's edge between the polished and the raw. Like a Dadaist version John Donne, Yarrow takes an axe to common poetic assumptions, yet delivers all the pleasures of poetry at its best." 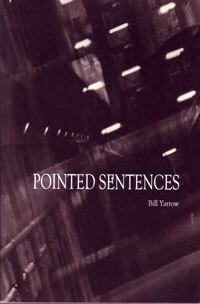 "Bill Yarrow is the Sun Tzu of verbal warfare, the Machiavelli of mental strategy. "Look left," he says, and when you look right, anticipating his move, the whiplash hits you from behind. This is a book stolen from the library of the unexpected before it burned. What is it, what is it? A bit of Nicanor Parra's antipoetry, a bit of Vasko Popa's thought experimentation, a bit of Celan's surrealism, a bit of this, a bit of that. As it shifts from allegory to narrative to lyric, you come to understand that this book is not a wonderful beast (part hippopotamus, part threshing machine) but a creature whose parts and attributes are constantly shifting—wings when it needs to be an angel, webbed hands for catching baseballs. How wonderful, how fun, and how different form so many volumes of genial, accomplished, and innocuous poetry." "Our expectations and our designs on life are dashed almost always—an old story, maybe the oldest there is—but Kris Bigalk's poems want us to believe that it is an honor to be given the chance to replace disappointment with renewed hope. They convince me, surely and gracefully. Attention is a form of courage for Bigalk, and the steady, good-humored generosity she directs toward the fellow inhabitants of her planet mark her as a poet of wisdom and warmth." 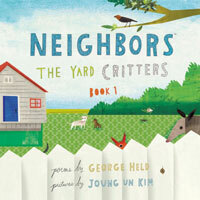 "There is a lovely refrain in each of these riveting poems. Kris Bigalk delivers, with humorous, poignant and richly textured detail, the light and dark in a life full. She boldly paints even the ordinary with a stunning hue." 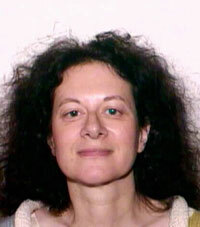 Rosalind Brackenbury is English, married to an American, Allen Meece, and has lived in Key West, Florida for 18 years. Since 2007, she has spent part of each year in Paris. Her most recent novel, BECOMING GEORGE SAND came out in August 2009 with Doubleday, Canada, and in March 2011 with Houghton Mifflin Harcourt, NY. 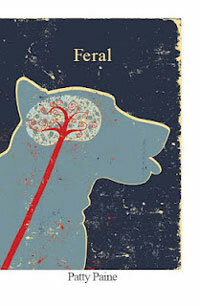 It is out in translation in the Netherlands, with Artemis Press, Amsterdam, in Italy with Piemme, Milan. Her poetry collection, YELLOW SWING published by Daniel & Daniel, CA, came out in a bilingual French-English edition in 2011 from Les Editions de l'Amandier, Paris. A new novel, THE THIRD SWIMMER is at present with her agent at Curtis Brown, London. 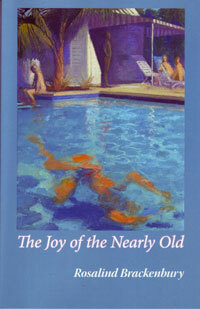 THE JOY OF THE NEARLY OLD is her sixth collection of poetry. "These rich, fluent poems tell the story of a writer's pilgrimage. They are filled with the colors and vibrancy of her world, a world that includes Key West, England, Paris and of course, literature itself. The sentences are so poised and artfully phrased that, despite their sometimes dark subject matter, they are a palpable pleasure on the tonque." "Rosalind Brackenbury's new collection of poetry, The Joy of the Nearly Old keeps the promise of its title: it is an opulent anthology of the pleasures of our world." Steven Schrader is the co-chair and former director of Teachers & Writers Collaborative and was the publisher of Cane Hill Press, which specialized in fiction. 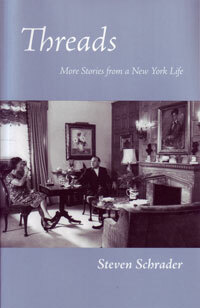 He lives on New York's Upper West Side, a strong presence in his stories, with his wife, Lucy Kostelanetz, a documentary film maker. "This boychik writes arresting prose about a lifetime of heartbreak, farce, sexual voraciousness, the writing life, the civil rights revolution, and, towering over his character and fate, an unforgettable mogul of a father that Kafka and Dickens would have been impressed with. Schrader's sentences are fresh cherries, sweet and flavorful. In this, his best book so far, he reenacts a life with a concentrated brevity that spills over with feeling and hilarity. The New York he writes about, from trolley cars to the garment center to Washington Heights to the Jewish delis and Puerto Rican prostitutes of the old gritty upper West Side, is a vanished world rekindled and burning bright in Schrader's beautiful book." Steven Schrader is the funniest writer I know. "Much have I traveled in Concord," wrote Thoreau. in Springfield, right here in our living room even. who insults others to make himself feel good. for every hungover Joe Meatball in Springfield. a big payoff. Oh, how I love a big payoff! See, I've got lots of love in my heart. It's two sizes too big, if anything..."
"Me, my last girlfriend left me, and she was a blowup doll. reading Little Women to them sweet little hospital urchins..."
boxed-in world. 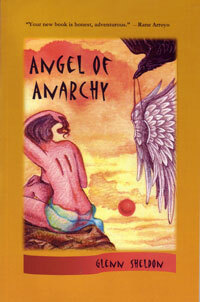 This chapbook is guaranteed to set you free. with his free verse. Free verse? Verse won't set you free. Only the truth will set you free. That's in the Good Book. was, not to my liking or that I would critique in the negative. "...the compass has gone out of me. for loss, for misery, for coffin. the knife stab sudden of it." "After rum, I stare toward dawn. of summer in the air. as he swam after branches. when my fingers found them they sang." "...our mother brought to America. revealing glints of umber and jade..."
they flow onto the page and leave us wanting more. Book Review - George Held's "After Shakespeare: Selected Sonnets"
Richard Fein was Fulbright Professor of American Literature at the University of Madras from 1971-72. 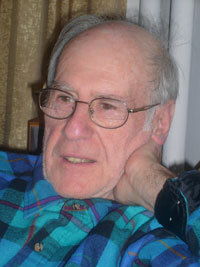 He has published eight books of poetry, one of which, Kafka's Ear, won the Maurice English Award. His latest collection, B'KLYN appeared in 2011. He has also published two books of his translations of Yiddish poetry, Selected Poems of Yankev Glatshteyn and With Everything We've Got, as well as a memoir of Yiddish, The Dance of Leah, and a critical study, Robert Lowell. 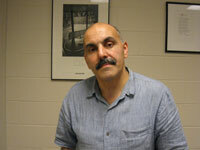 George Kalogeris teaches Literature and Classics in Translation at Suffolk University. He is the author of a book of poems based on the notebooks of Albert Camus, Camus: Carnets. 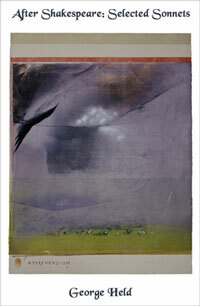 His book of paired poems in translation, DIALOGOS, is due out in May. 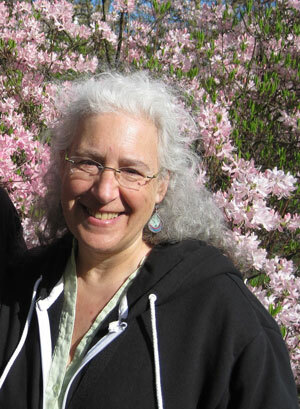 Marcia Karp has poems and translations in Partisan Review, Republic of Letters, Catullus in English (Penguin), Literary Imagination, The Guardian, Seneca Review, Petrarch in English (Penguin), Agenda, Harvard Review, Ploughshares, Warwick Review, TLS, and Oxford Magazine. She is included in Joining Music with Reason: 34 Poets, British and American, Oxford 2004-2009 chosen by Christopher Ricks (Waywiser), and The Word Exchange: Anglo-Saxon Poems in Translation (Norton). The Center for the Arts is located between Davis Square and Union Square. Parking is located behind the armory at the rear of the building. 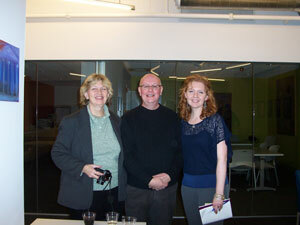 Arts at the Armory is approximately a 15 minute walk from Davis Square which is on the MTBA Red Line. You can also find us by using either the MBTA RT 88 and RT 90 bus that can be caught either at Lechmere (Green Line) or Davis Square (Red Line). Get off at the Highland Avenue and Lowell Street stop. You can also get to us from Sullivan Square (Orange Line) by using the MBTA RT 90 bus. Get off at the Highland Avenue and Benton Road stop. 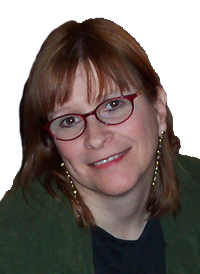 Denise Bergman is the author of Seeing Annie Sullivan, poems based on the early life of Helen Keller's teacher (Cedar Hill Books, 2005), which was translated into Braille and made into a Talking Book. Her poems have been widely published. She conceived and edited City River of Voices (West End Press), an anthology of urban poetry, and she was the author of Keyhole Poems, a sequence that combines the history of twelve specific urban places with the present. The Telling, forthcoming in 2013 (Červená Barva Press), was a finalist in the Colorado Prize and Many Mountains Moving competitions. Denise was poetry editor of Sojourner, A Women's Forum, and hosted a cable TV show "Women in the Arts." An excerpt of her poem Red, about a slaughterhouse in the neighborhood, is permanently installed as public art. One of your books of poetry, Seeing Annie Sullivan, is about the early life of Helen Keller's famous teacher, Annie Sullivan. What was it about Annie Sullivan that made you want to write about her? As a teenager, I was interested in Helen Keller's politics, perhaps especially because we weren't taught about that in school. When, as an adult, I read Helen Keller's autobiography, Story of My Life, I learned of Annie's enormous role in Helen's life as teacher, and as a life-long friend. That huge influence on Helen's early world view compelled me to look deeper. I did a lot of research and discovered Annie's refusal to talk about her childhood. She was coaxed into talking about it at the very end of her life by biographer Nella Braddy, who told her that if Annie didn't tell her story, someone else might tell it the wrong way. The fact of the secrecy intrigued me, then I learned the details that she was so ashamed of: desperate poverty, abandonment, and institutional neglect in the notorious Tewksbury Almshouse. Annie was one of thousands of children in similar circumstances, but she happened to escape and survive. There's a parallel between Seeing Annie Sullivan and The Telling, the book of poetry that Červená Barva will be publishing next year. The subject of The Telling is a secret that someone I loved told me about her escape to the United States. A hideous life-long guilt-ridden secret. She had never told anyone else and after she told me (in one long sentence), she never referred to it again. How often we are clueless about the pasts of those we interact with, and how clueless we are about the effects of those pasts on individuals' lives. The first line of your poem "Red" is part of a permanent art installation in Cambridge's Dana Park. How did you feel when you discovered that your poem would be used in this artwork? Needless to say, I was thrilled, very excited. And of eight or so writers represented, only two of us are contemporary. The line the artist used came from a poem about a slaughterhouse in East Cambridge in the 1800s. "Red" of course refers to the blood of the slaughterhouse that the workers brought home on their clothes. As Sweet Honey in the Rock sings: you bring more than a paycheck to your loved ones and family. "Red" also refers to the animal refuse discarded into Miller's River. Two of your collections of poetry, the book Seeing Annie Sullivan and the series of poems "Keyhole Poems," revolve around historical events and time periods. Why do you write about the past? I don't always write about the past but it certainly factors into much of my poetry. I think and write a lot about "pauses," the spaces between events, words, etc. The spaces that contain anticipation, worry, and excitement. The spaces where things get lost. What happens in between the things we see and do? This fascinates me. I think it's connected to the invisible or no-longer-visible historical things that I like to explore. City River of Voices is an anthology of urban poetry that you edited. How did you become involved with this project, and what was it like working on it? It was really pleasurable. I had just started to write poetry in the early 1980s after being a painter. I didn't know any poets and I didn't know anything, really, about poetry. One day at the Central Square Library I saw a poetry reading of Latin American poets from many countries, and therefore from many struggles. What they had in common was poetry, words, and their fights for justice. I was intrigued by the sense of community. I'm very much a city person, so my first poems were about "city." The reading gave me the idea to collect urban poems that talked about different urban issues. I included poets who were not well known, those who "wrote on the backs of envelopes, as well as those who are well-known. To advertise for submissions, I held readings in Cambridge libraries, and after the book was published, we had another series of readings in libraries all over the city. I met many wonderful poets through this project. 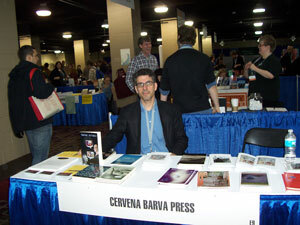 newsletter@cervenabarvapress.com with "newsletter" or "subscribe" in the subject line. unsubscribenewsletter@cervenabarvapress.com with "unsubscribe" in the subject line.